We are a nation obsessed with university degrees and higher education; however as per research done by Aspiring Minds National Employability Report 2015, 80% of them are unemployable! What we need is not cost intensive graduate and post graduate degrees that are not leading to employability but employable skills that can help youth achieve economic freedom while pursuing a career of their choice. And now, here’s another scenario – Hiring unprofessional help had been a norm in India for decades. You could have the best of fixtures (electric and plumbing) but the fitter would be unskilled. You could get the best of paints but the applicators would be unprofessional. It was assumed that such jobs were to be done by unskilled and uneducated population of the country who could learn it on the job. So we had the power of buying world class products but not enough skilled people to get it functioning or maintain it. In both the scenarios what we see is a gap, in terms of education, understanding and respectability of various jobs. Skills India is a step towards trying to bridge that gap. Skill India aims to teach employable skills in various sectors; thereby creating a workforce that is skilled and self reliant. With world class training the work force can then command reasonable pay that will automatically bring in respectability for the job. So what is Skill India? 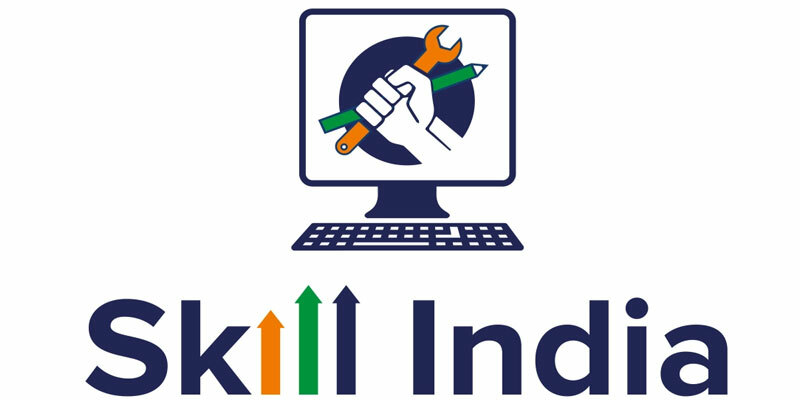 Skill India is an initiative jointly undertaken by Ministry of Skill Development and Entrepreneurship and National Skill Development Corporation. Skill India aims to target two sets of audience – Students who are early school leavers and second, enhancing skills of people already in the field. It is trying to achieve a greater push to vocational training courses, thereby bringing it at par with traditional university degrees. In their own words, the overall focus of this initiative is to help provide an engaging ecosystem to cater to skilling needs of citizens by publishing and sharing relevant information. The outcome of this collaboration should ideally lead to inclusive growth especially for those at the bottom of the pyramid (approximately 800 million citizens). The portal attempts to disseminate reliable information and by providing an interface to enquire, explore, and access and engage with various affiliated and accredited training partners, infrastructure providers, understand skill options, opportunities, information on various providers, reliable and credible digital content. The portal boasts of 249 training partners, 3222 training centers, 55,70,476 People trained, 23,88,009 people placed. This is an informative and single touch point website which includes Training partners who offer trainings for various skills, trainers who wish to teach the skills that they have acquired, Training Infra Providers who can offer the necessary infrastructure for training and job aggregators. They also have an option for searching internships that are available. Skill India courses range from Agriculture to IT. Varied courses like Animation, Banking and Finance, Mutual Fund Agent, Soft Skills, Vermiculture, Nursing Aides, Computer Networking, Web developer, Video editor, Carpentry, Land Surveyor, CCTV technician, Tally, instrumentation and many such courses are covered under the ambit of Skill India.